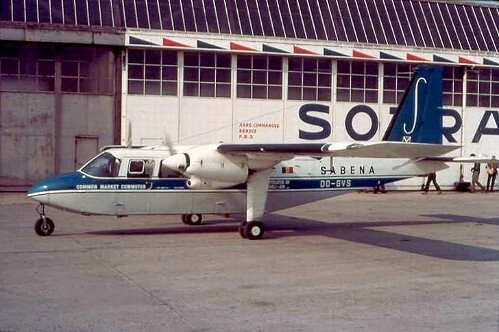 Description: the first (factory fresh) Islander of Publi-air was delivered on March 20 1971 and painted in the full (old) colors of Sabena with additional small "Common Market Commuter" titles. It was used for Sabena between 1971-1975 on their short range intra-European network (like Brussels - Liège - Eindhoven and vice versa). It was cancelled to Australia on March 12 1975.